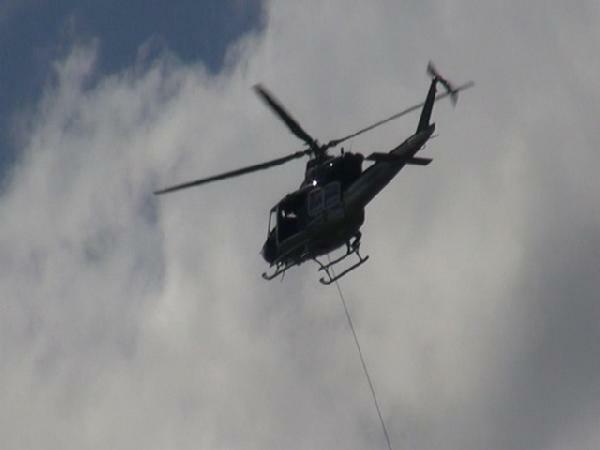 A common method for law enforcement to eradicate large and remote marijuana fields is to use a helicopter to transport the contraband to trucks. 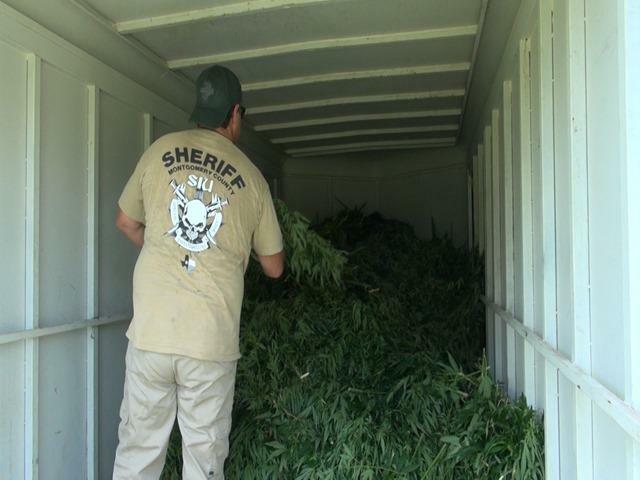 Over 14,000 Marijuana Plants Seized in San Jacinto County, SAN JACINTO COUNTY, September 4, 2014 - At sunrise officials from DPS, DPS CID of Beaumont, DEA, Montgomery County Sheriff’s Office SIU, Polk County, US Forest Service and San Jacinto County Precinct 1 Constable Roy Rogers and the San Jacinto Precinct 2 Constable hiked deep into the National Forest near FM-2025 in San Jacinto County. 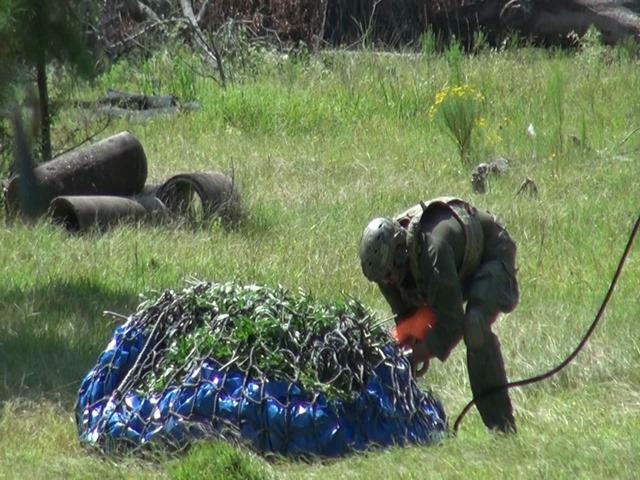 Their mission was to remove 14,800 full grown marijuana plants that were discovered. 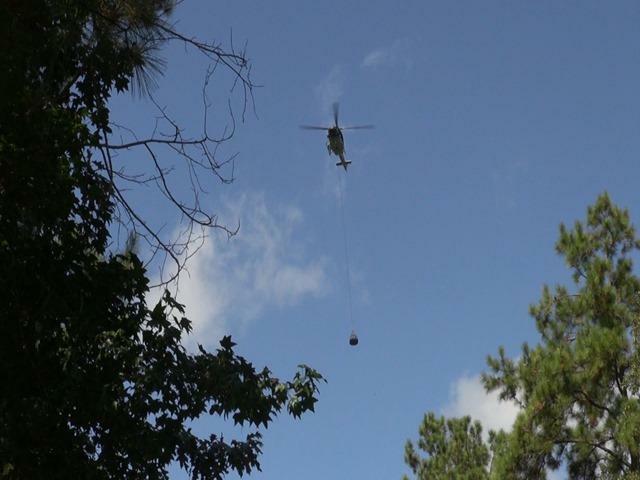 With the heavily wooded area and almost no place to bring equipment in, officials loaded the plants on tarps. 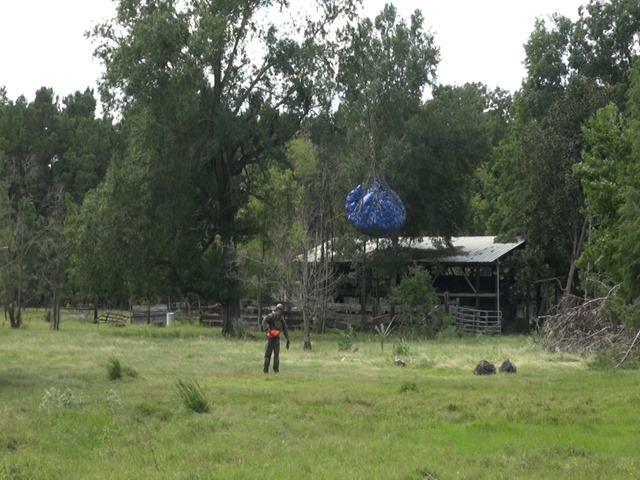 From there the tarps were put into cargo nets which were airlifted out of the woods and flown to an open pasture to be loaded onto trailers. In all over a dozen flights were made which wound up just after 2 pm. No suspects were arrested but pumps and generators were once again found. Today's marijuana field eradication makes the 4th huge marinjuana grow to be found and destroyed within the last month and a half. 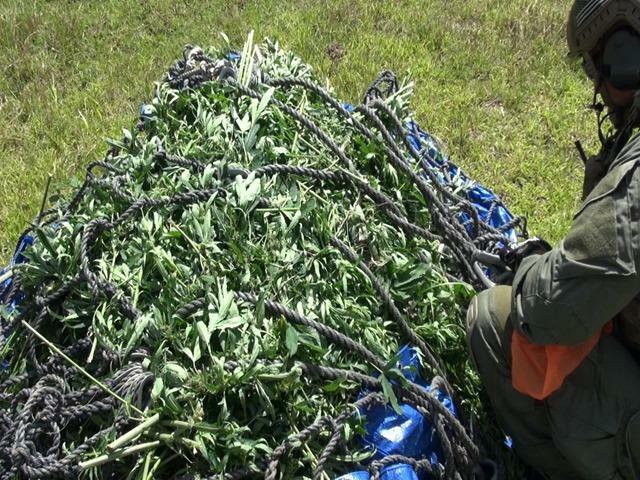 A crew member attaches another large load of freshly harvested marijuana to be transported and summarily destroyed. 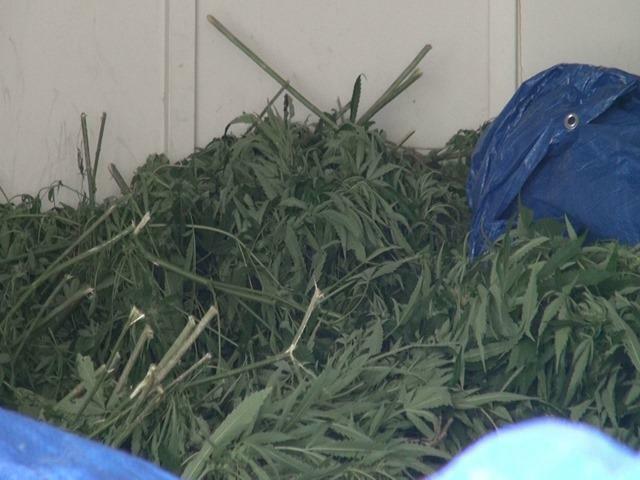 The marijuana was loaded onto covered trailers and transported away to be destroyed.